In her fourth book, Aminatta Forna ventures out of Sierra Leone and Africa, the setting for her previous titles (including the Commonwealth Writer’s Prizewinning The Memory of Love). Set in a small town at the foot of the mountains in Croatia, The Hired Man, like Forna’s earlier work, grapples with the effects of violence and war – now in the past, but never far from the surface of the present, a “dark child scratching on the walls”, as Duro, the story’s narrator and titular character, writes. In the supple and self-assured style of an author who has consciously honed her craft over time and who can draw description out from the wells of imagination and research, Forna describes the beauty of the Croatian countryside and the horrors buried in its wildflower-filled fields and azure swimming holes with equal skill. The story unfolds over a few summer weeks, during which time Duro Kolak also revisits the span of his 46 years. His outpouring of memories is prompted by the arrival of Laura, an Englishwoman who has purchased an abandoned home nearby with her husband. With her two teenage children in tow, Laura busies herself with restoring the “blue house” and enlists him to help. She’s set her sights on starting a real estate service for wealthy outsiders looking for vacation homes, but when it comes to knowing the reason for these abandoned houses, she’s happy to turn a blind eye to the area’s history. Ultimately the family has to confront this past, though the more horrifying events remain contained within Duro’s memories of the 1990s. And while these memories incorporates soldiers, sieges and abductions, Forna’s intent isn’t to shock but to question what makes some humans despise others and to discover what happens when childhood grudges and playground politics are grafted onto communal conflicts and flourish there, blooming into the most grotesque expressions of hatred. 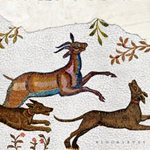 Forna eloquently frames this question, keeping things interesting through suspended information and some rather nice, nonmainstream character dynamics (the friendship between Duro and Laura’s daughter, Duro’s relationship with his hunting dogs). 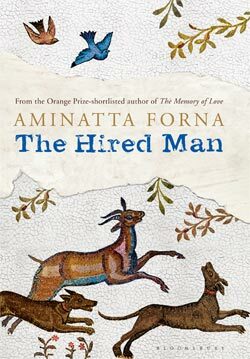 Because she doesn’t point to the war’s political perpetrators by name (referring more directly to the town’s fictional petty villains) and because her narrator is a man who sometimes has to look away from the truth in order to live with it, The Hired Man can seem a little bloodless compared to Forna’s more personal work set in Sierra Leone (her father was a politician there and was hanged on charges of treason). Yet following last year’s “best tourist season in Croatia’s history,” according to that country’s tourism minister, Forna’s latest is a timely reminder that “Et in Arcadia Ego”. The Hired Man, Bloomsbury, ₹499. Originally published in Time Out Delhi, August 2013.